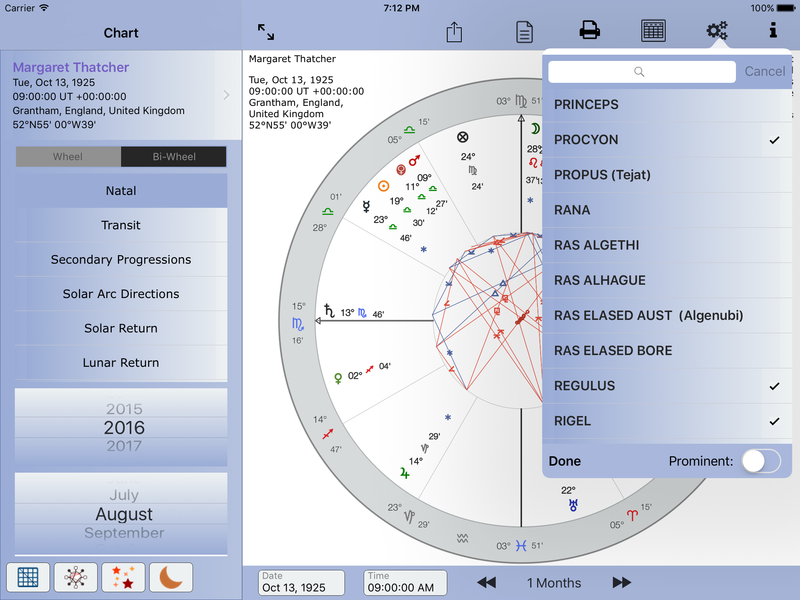 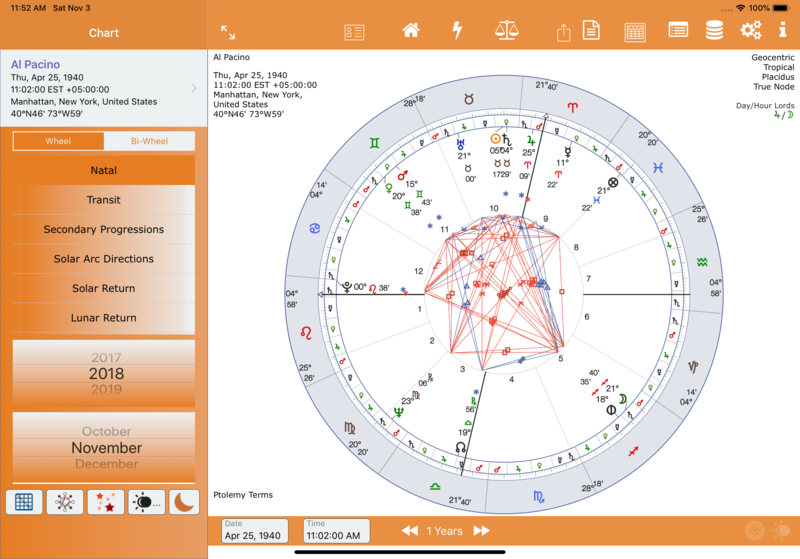 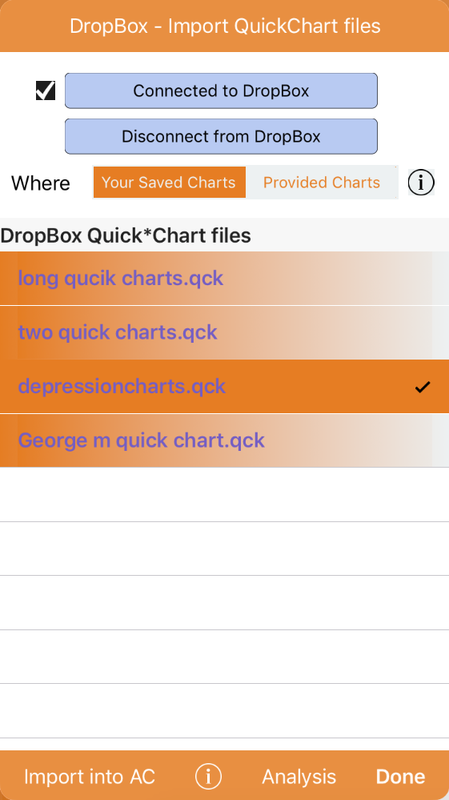 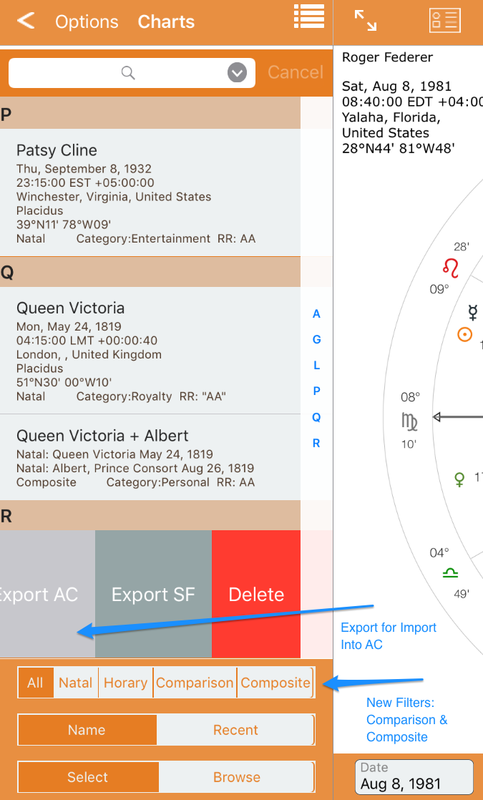 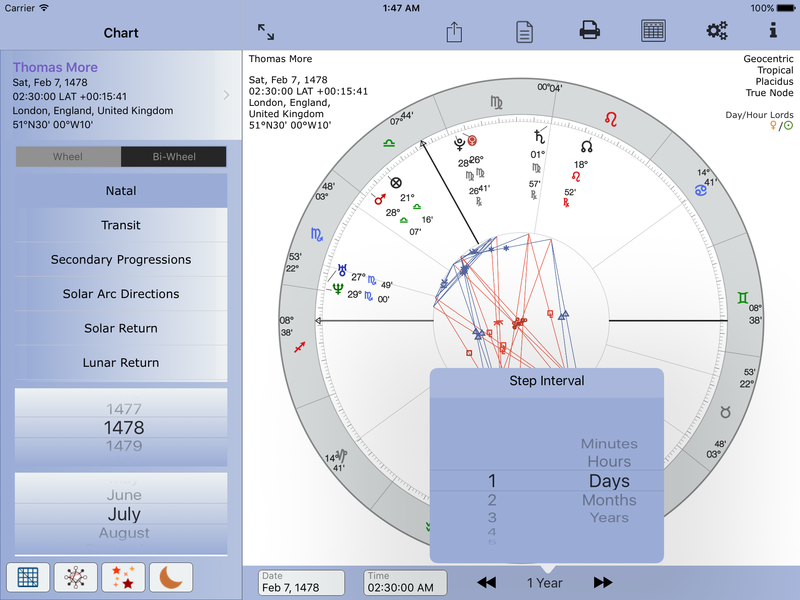 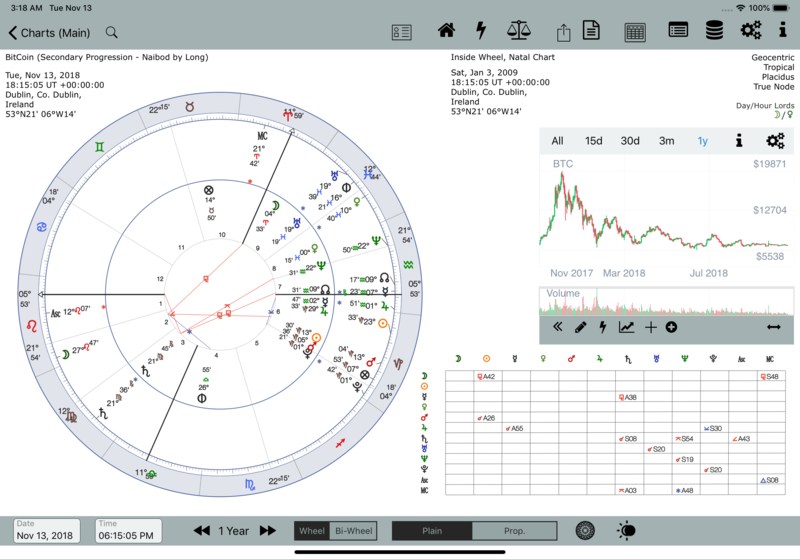 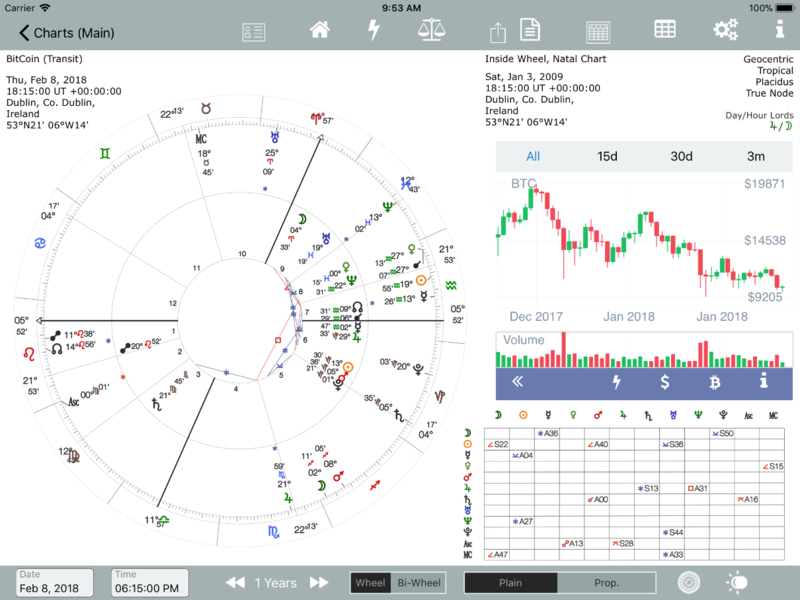 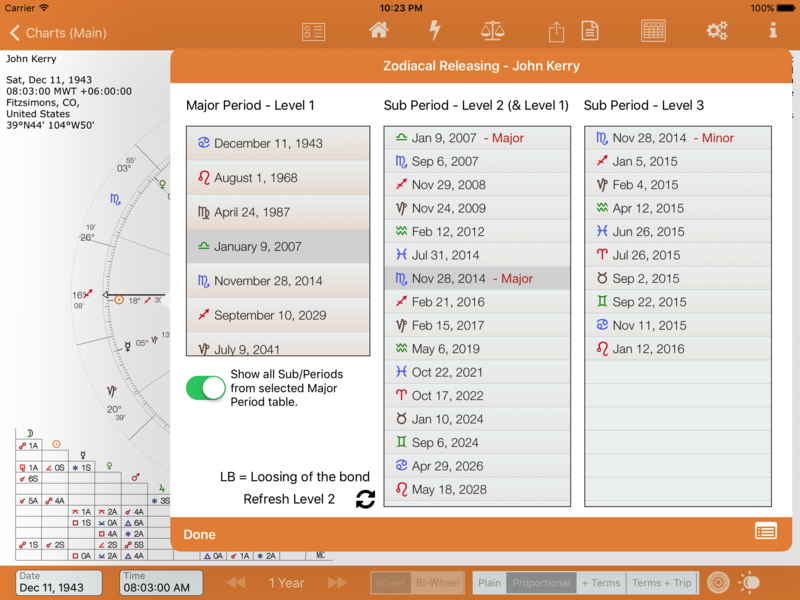 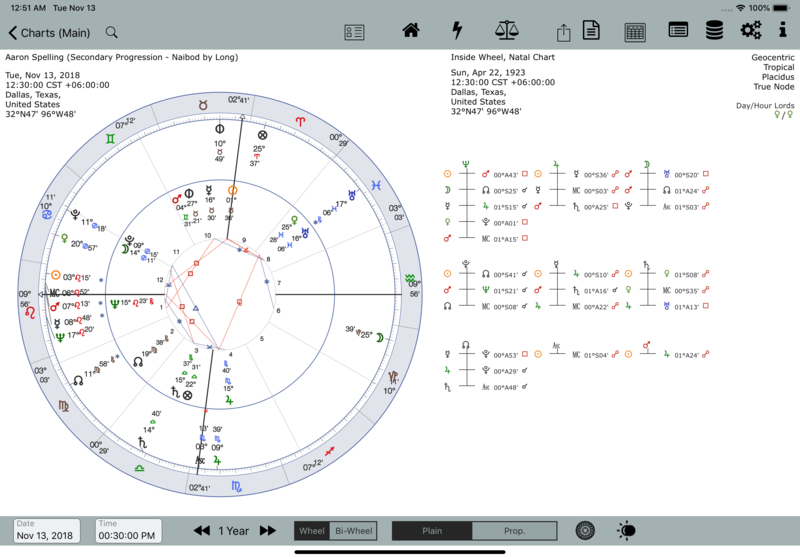 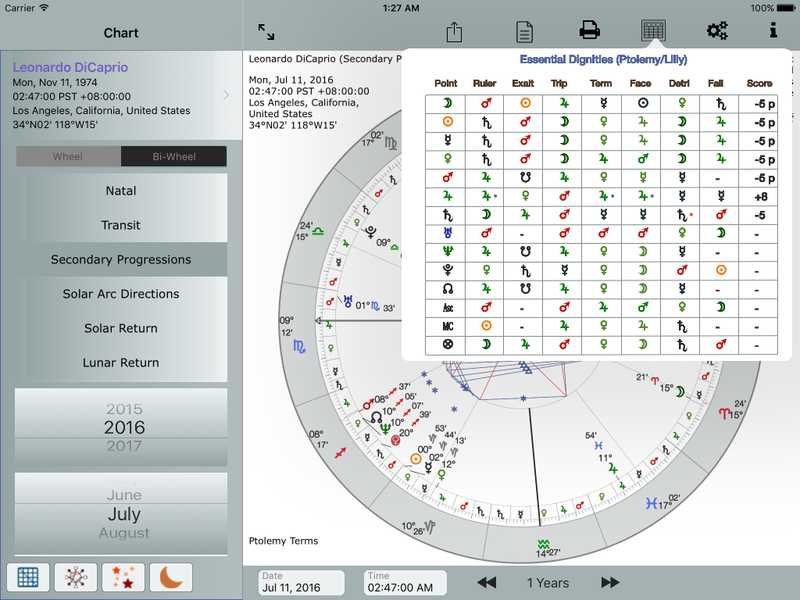 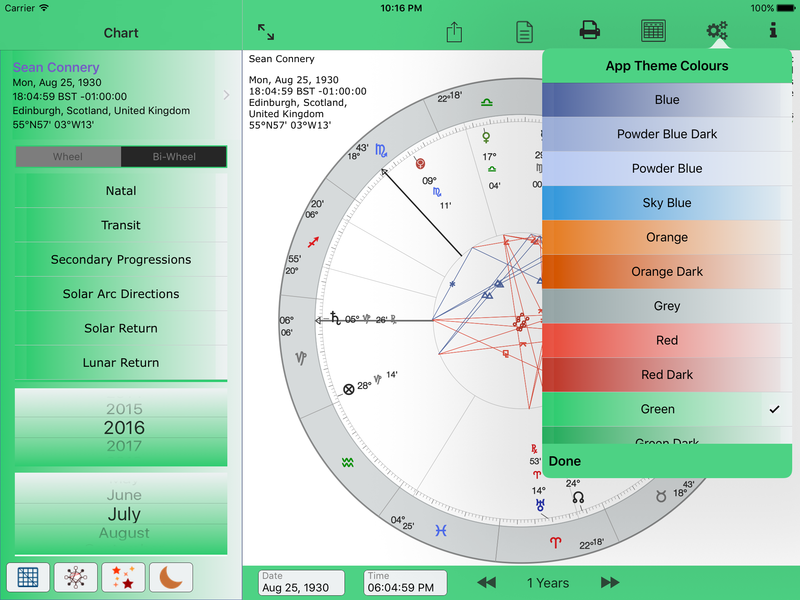 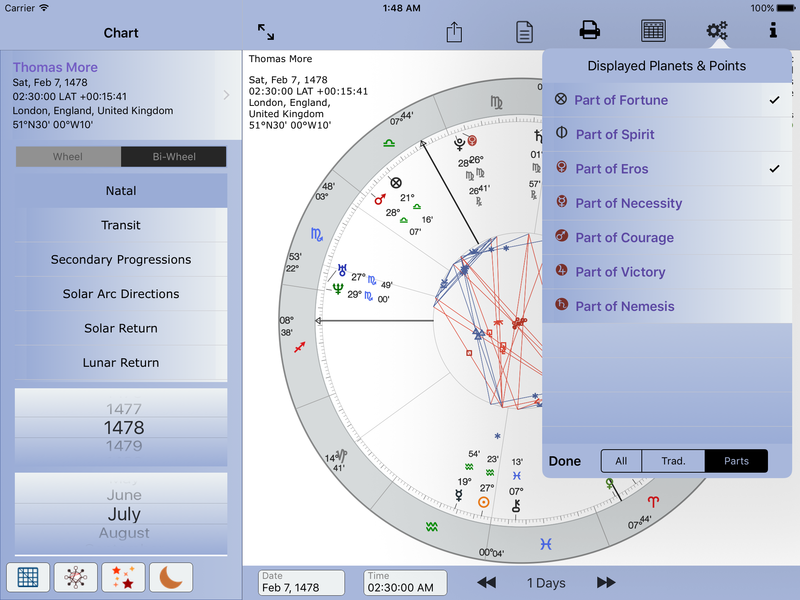 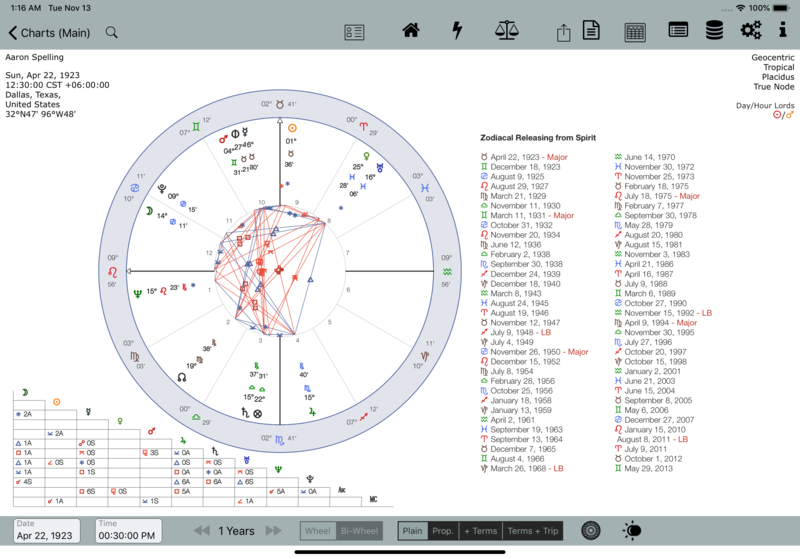 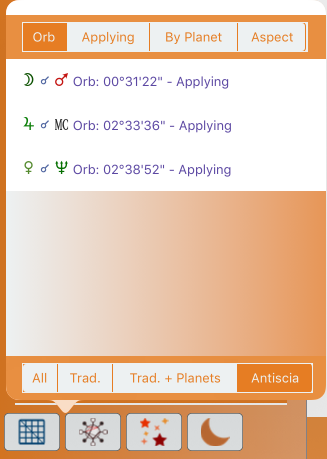 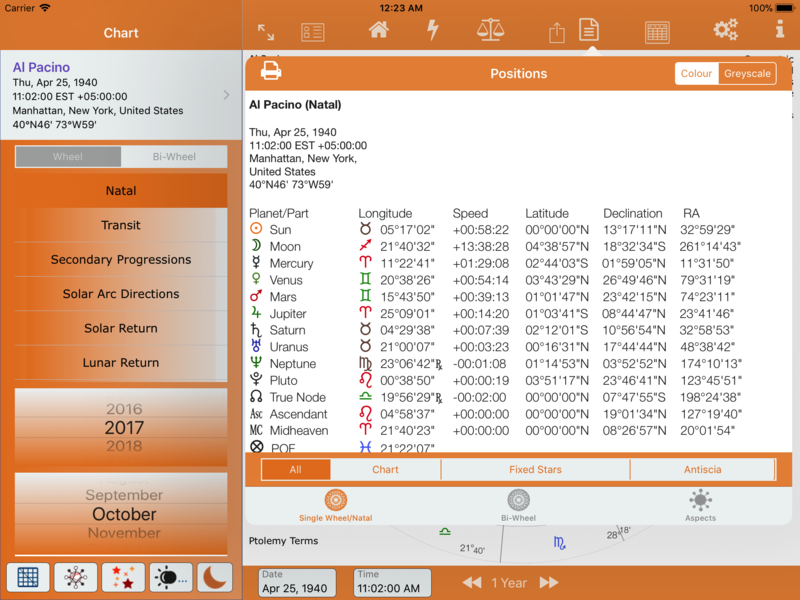 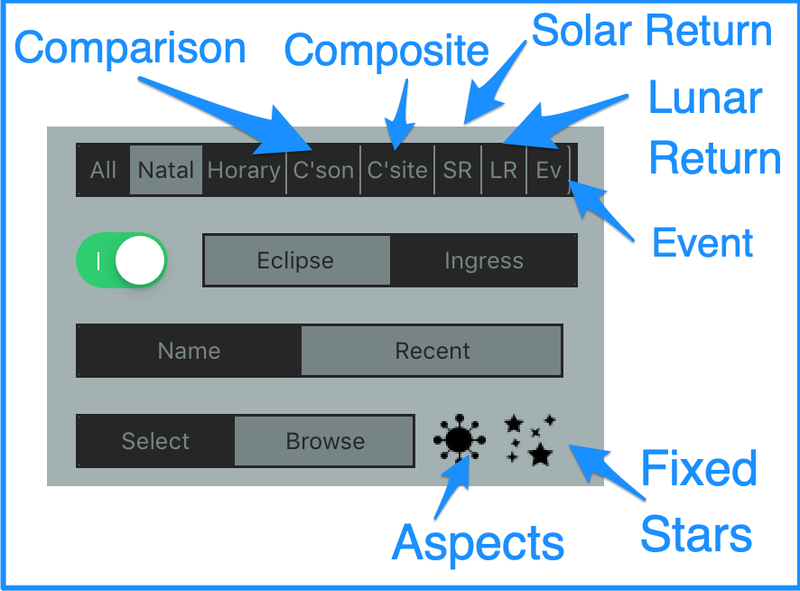 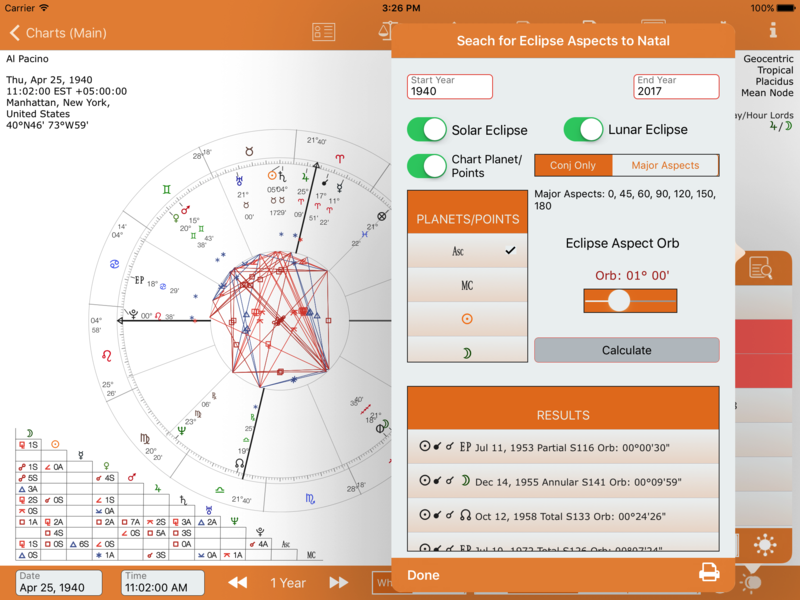 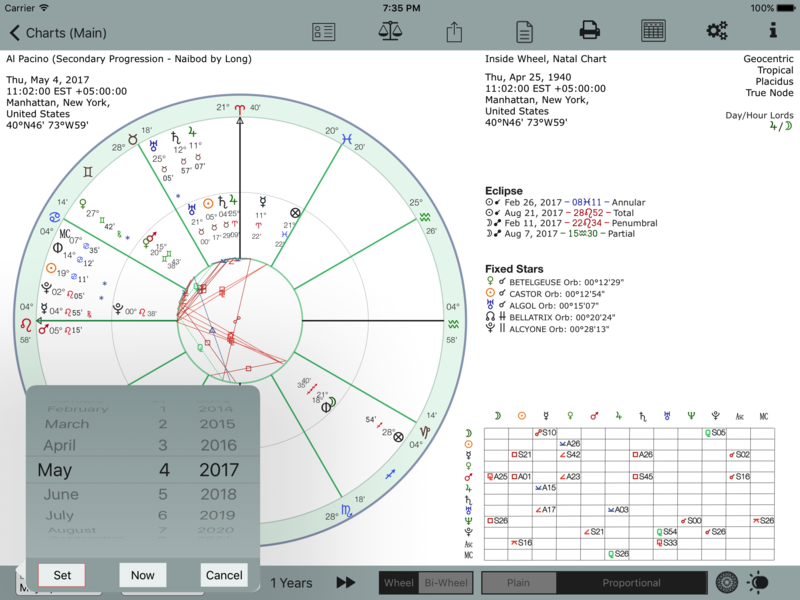 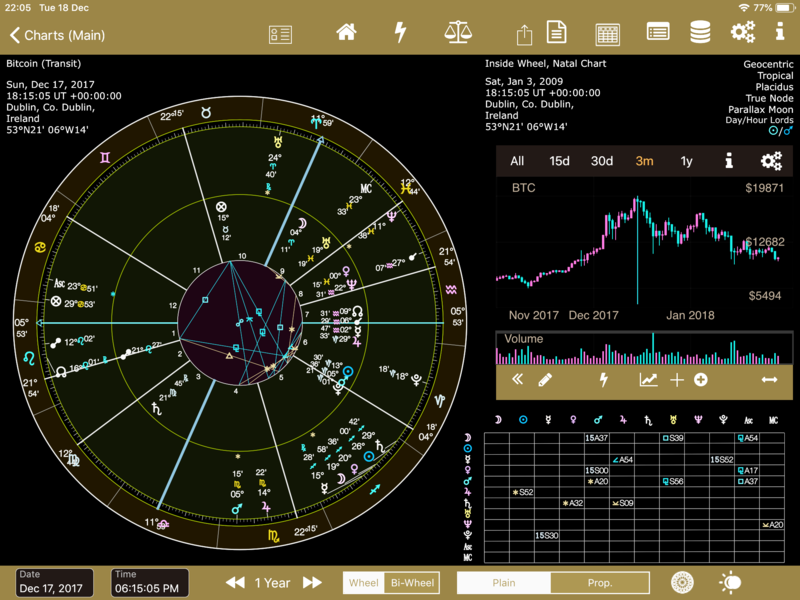 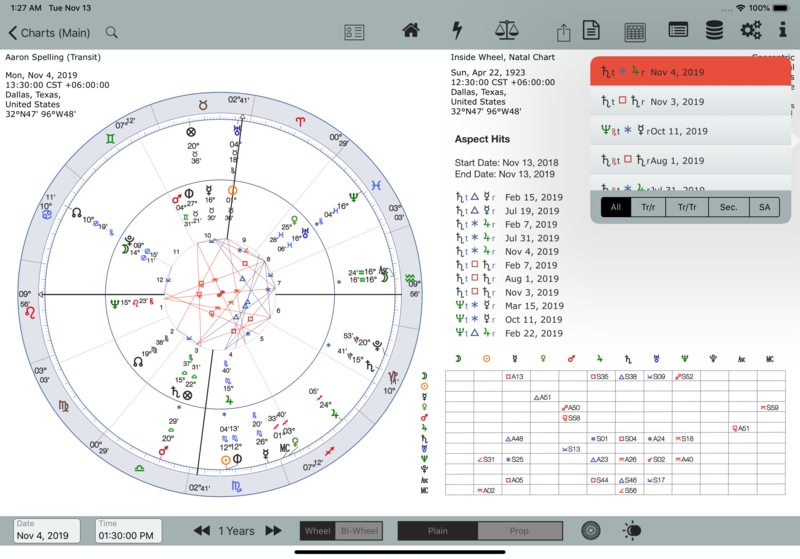 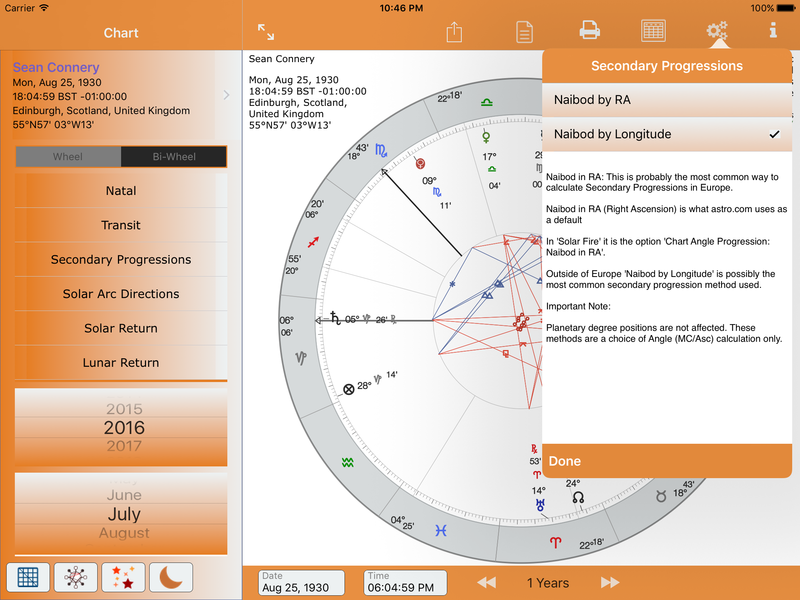 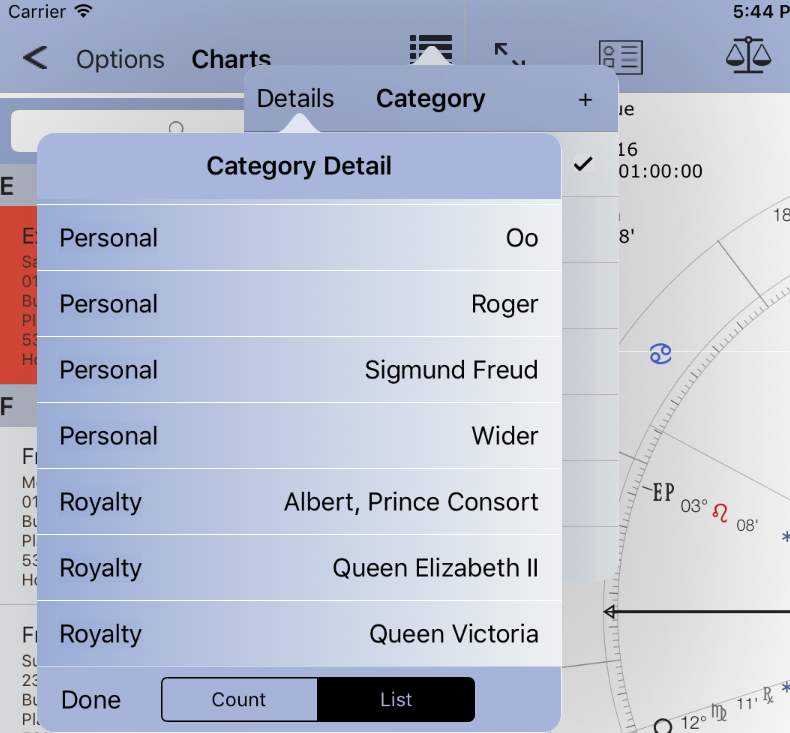 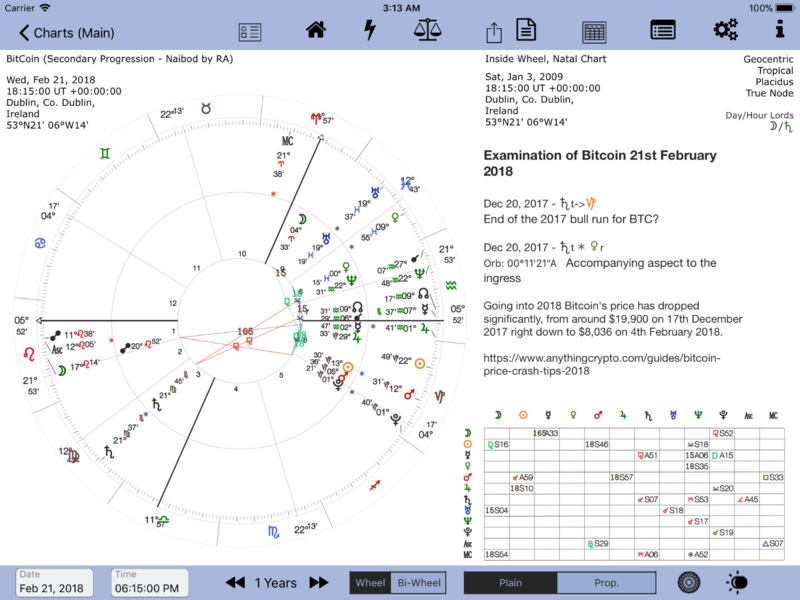 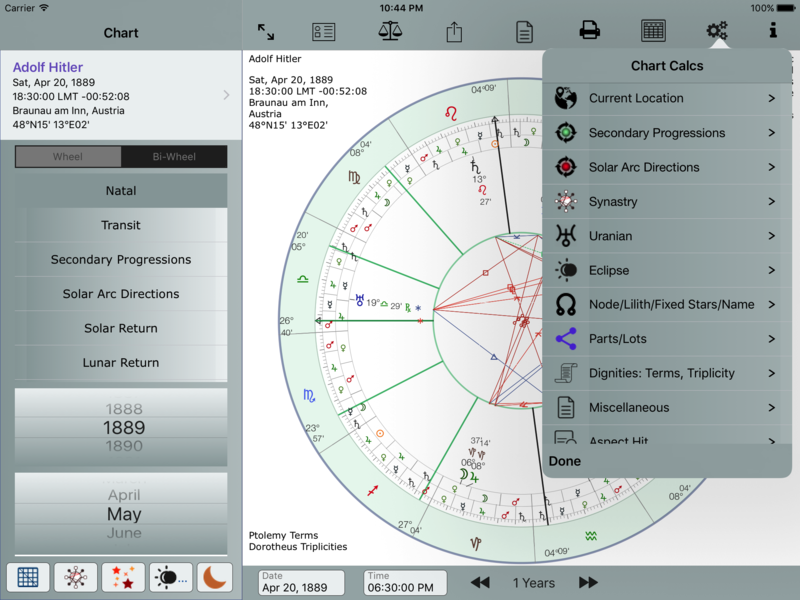 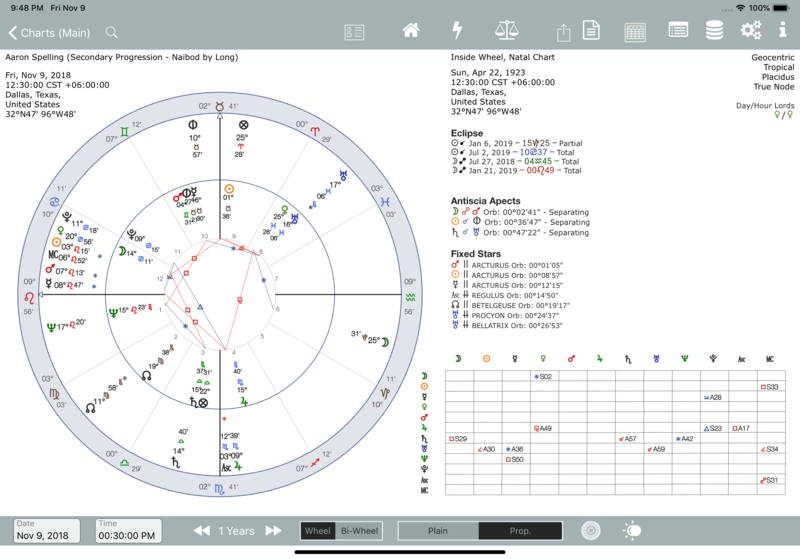 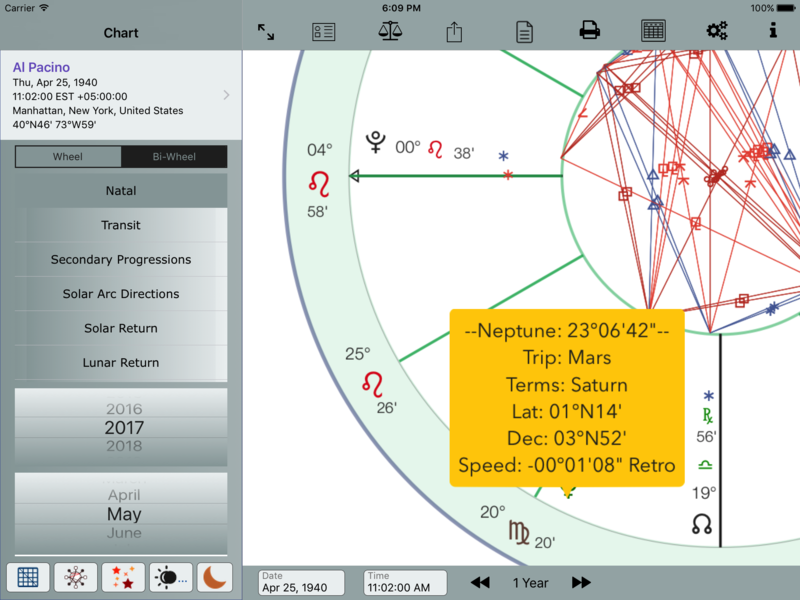 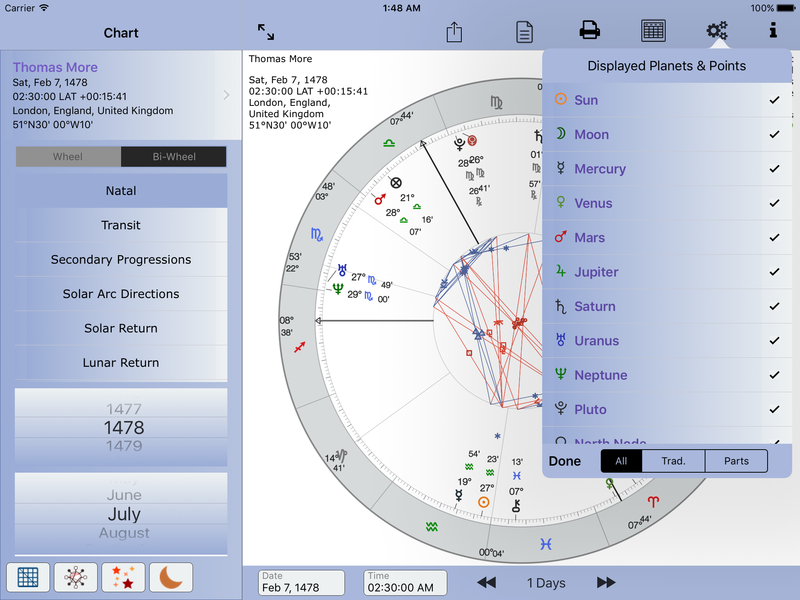 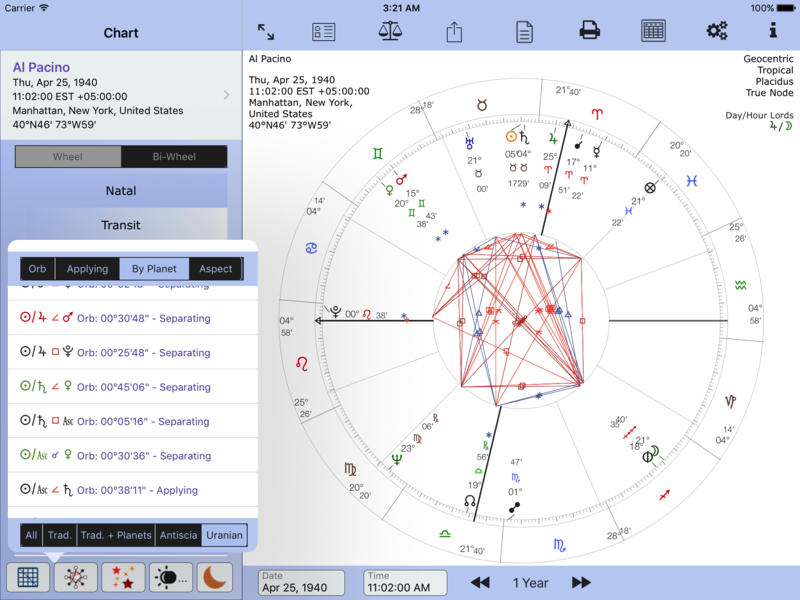 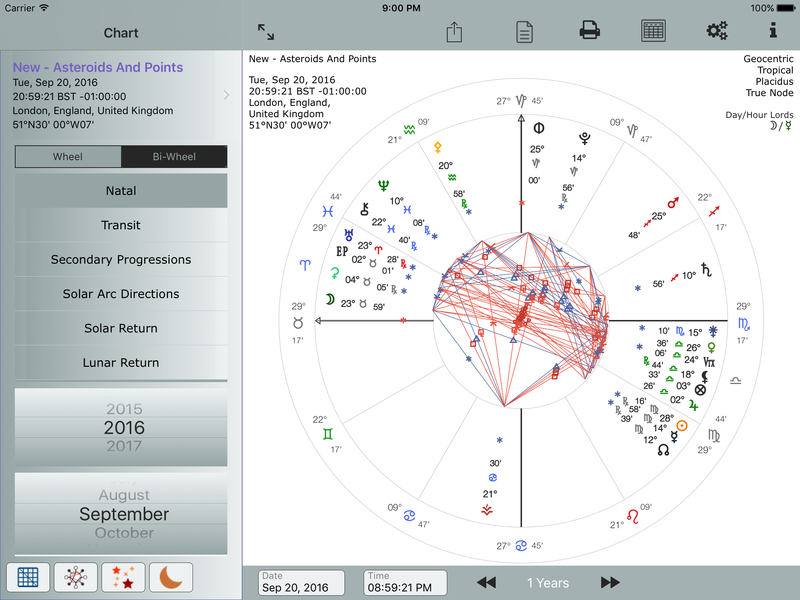 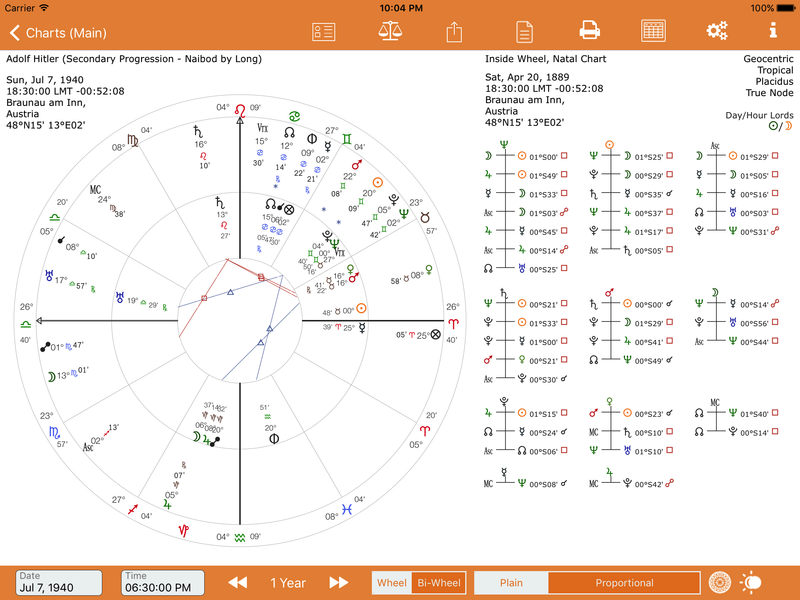 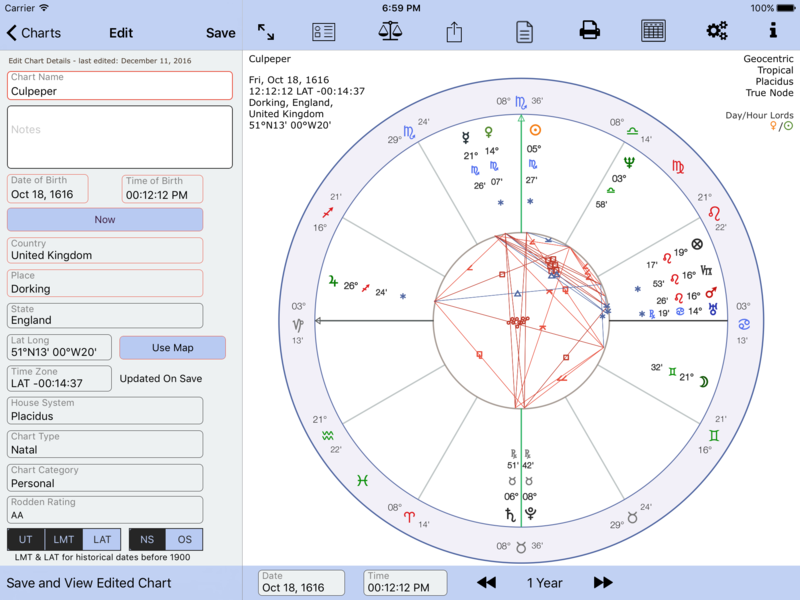 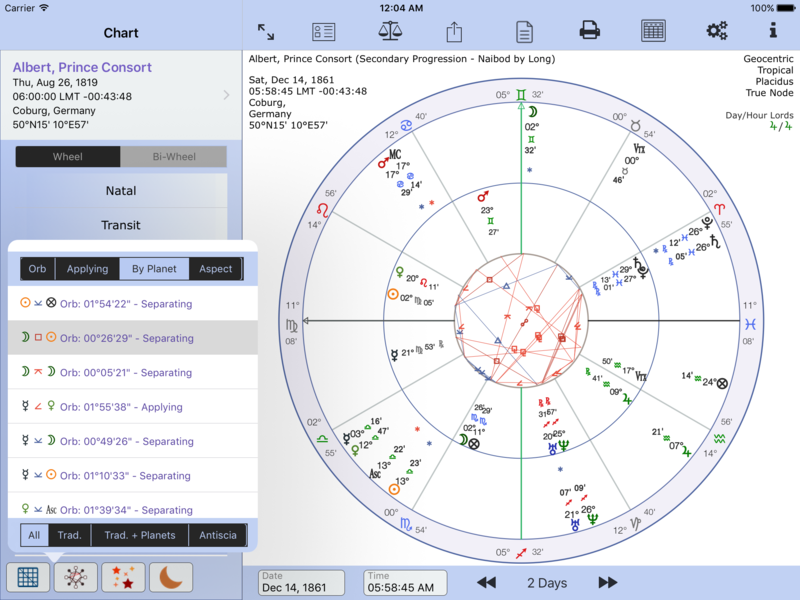 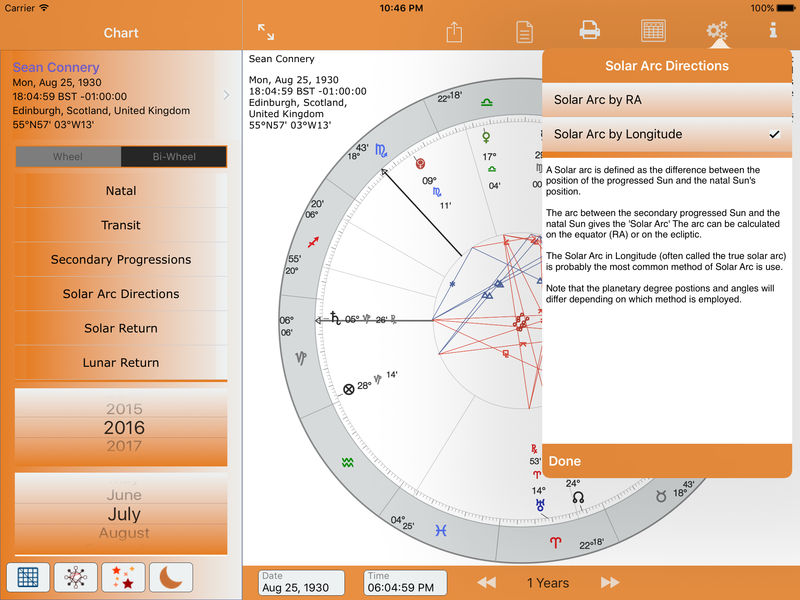 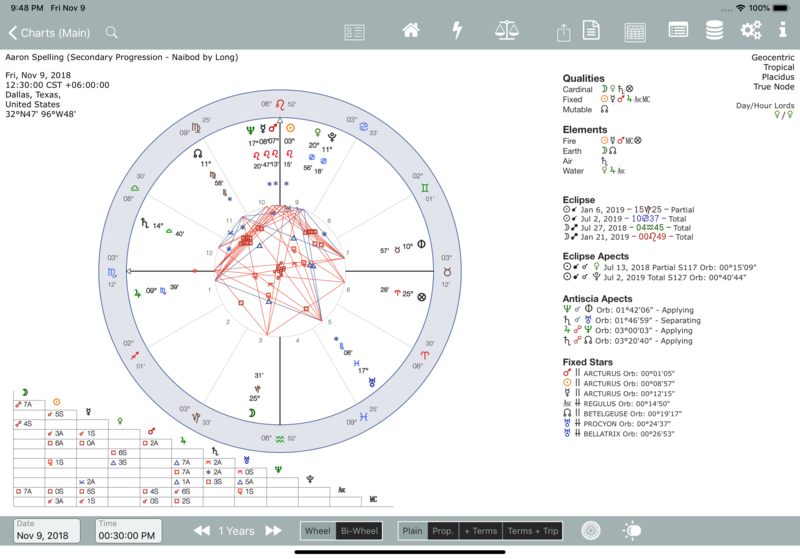 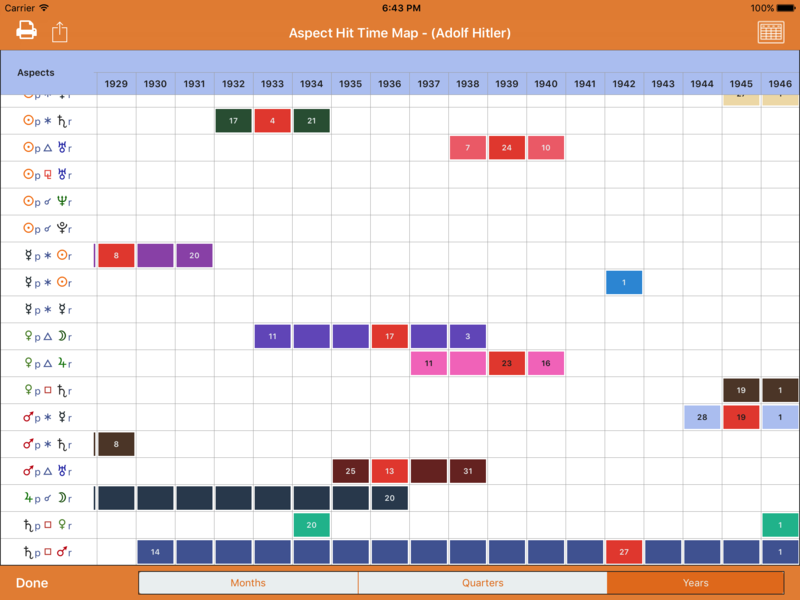 Please note that since AstroConnexions was released August 2016, many improvements and changes have occurred. 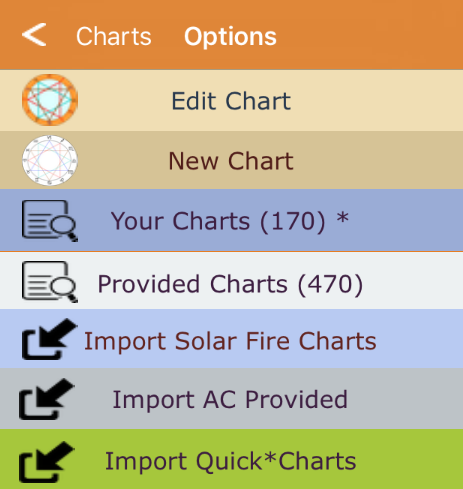 Some of the screenshots may not show these updates. 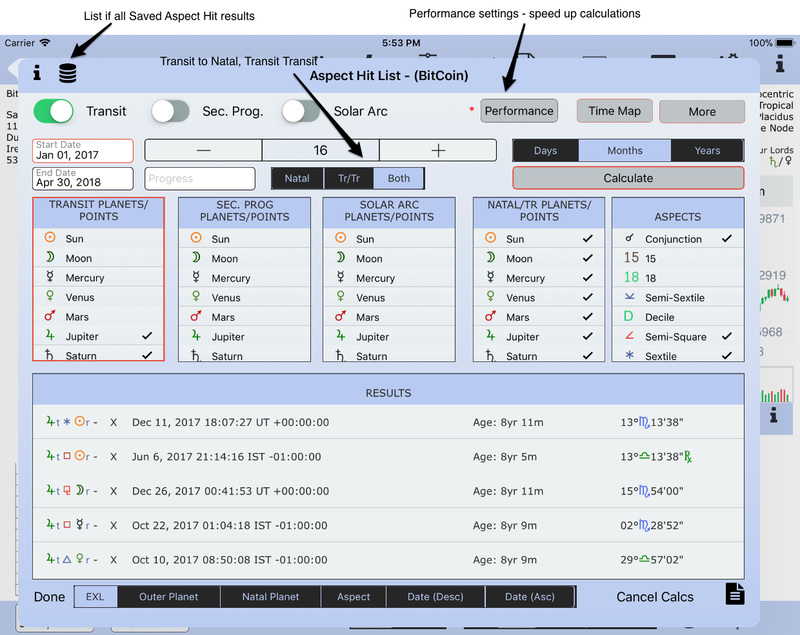 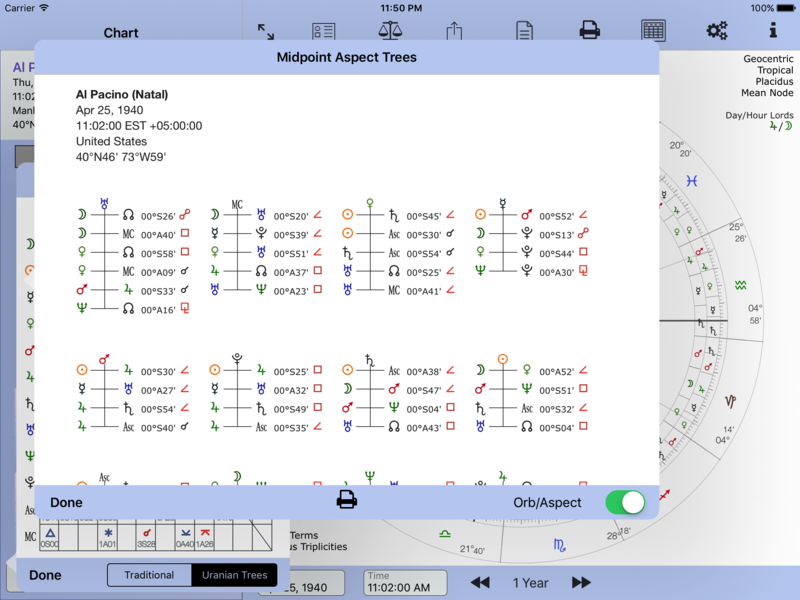 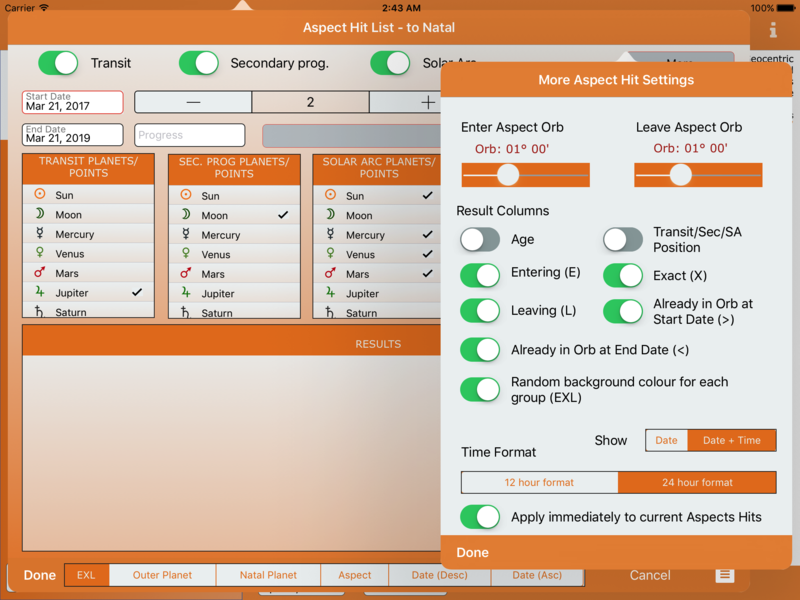 However, in the main, these screenshots do accurately show AstroConnexions many features. 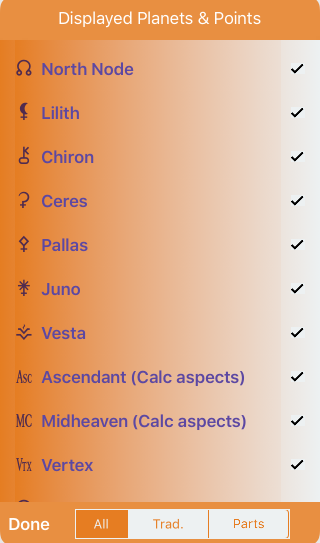 Not all of AstroConnexions many features are shown. 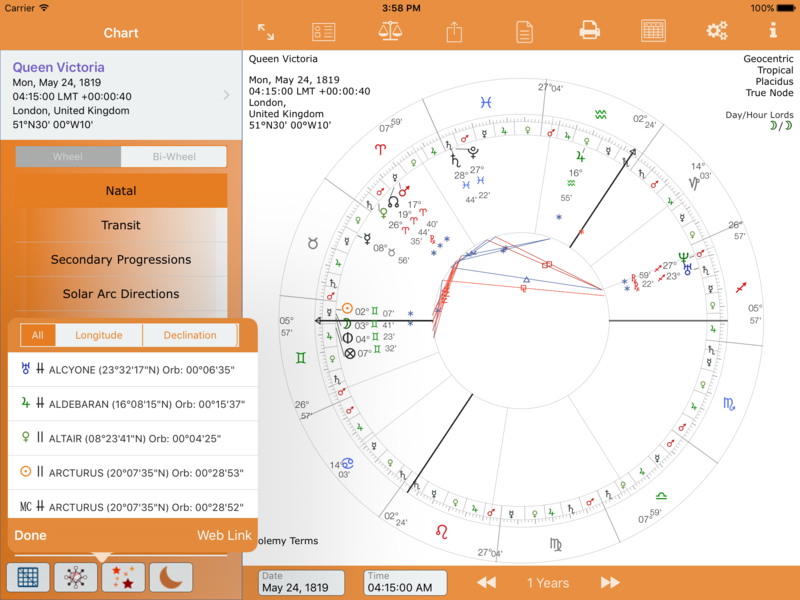 Screenshots are mainly from an iPad Air 2 and iPad Pro 11″. 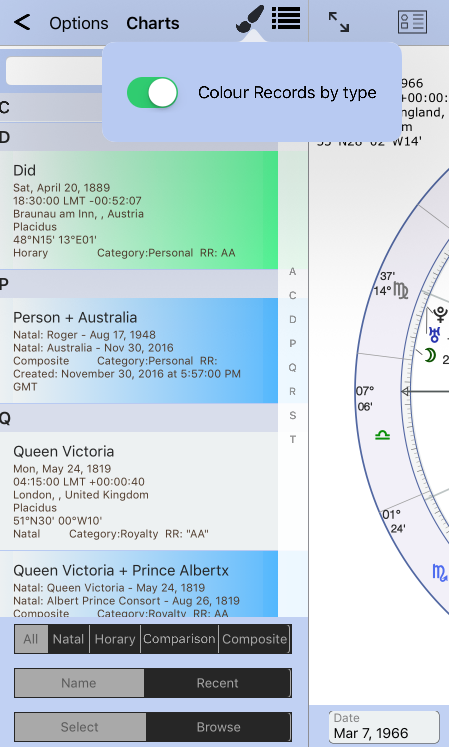 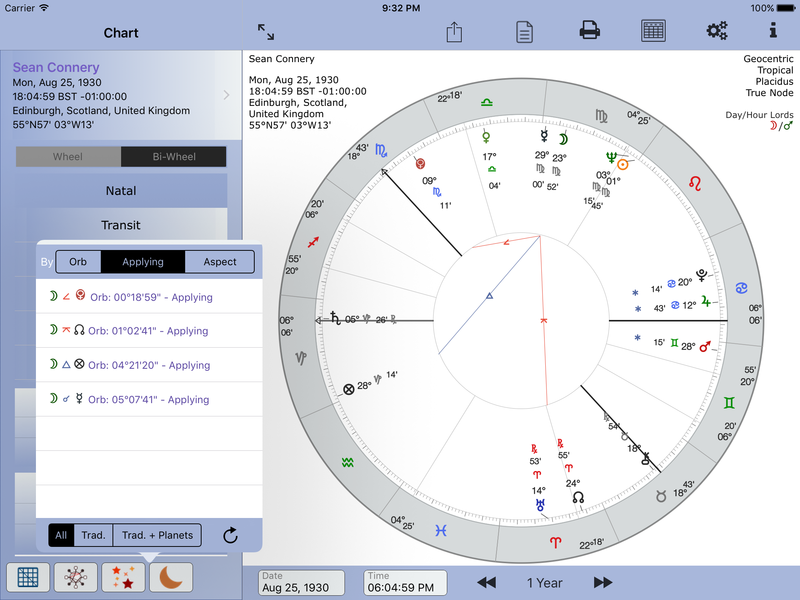 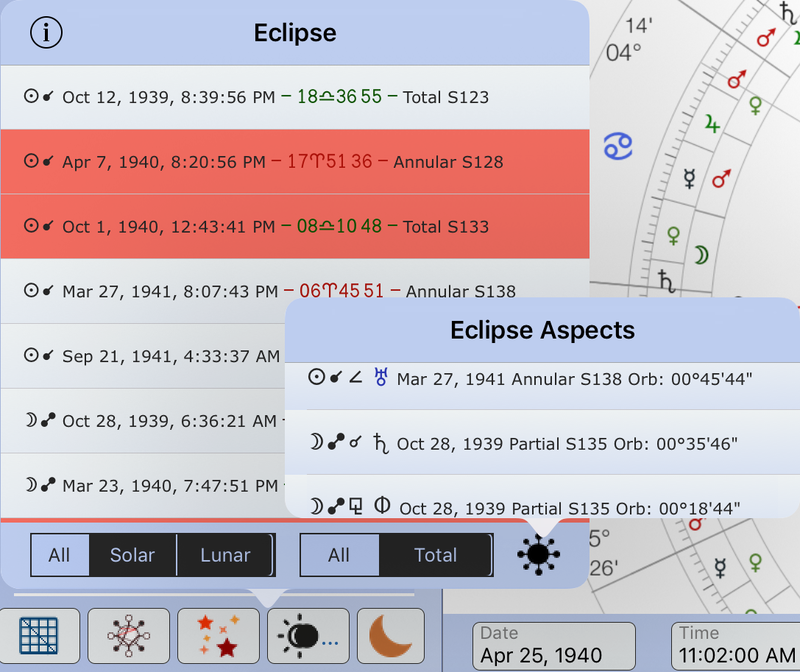 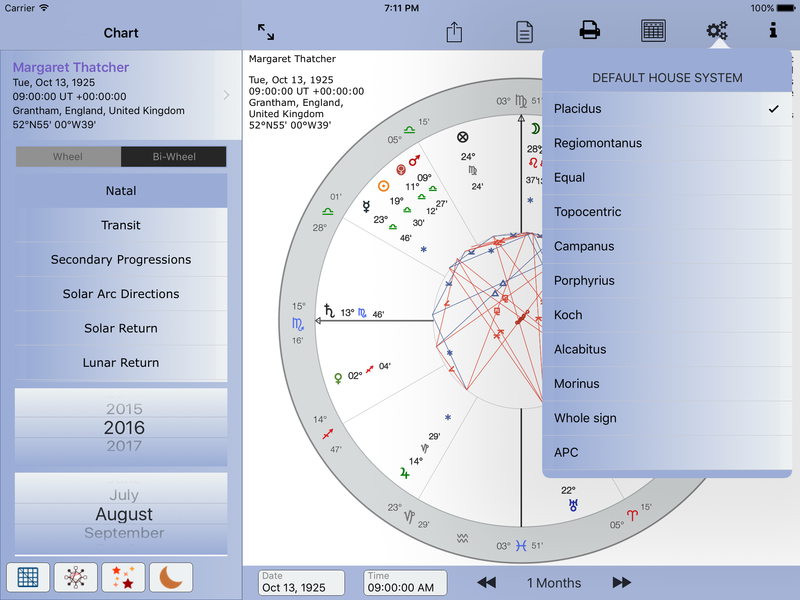 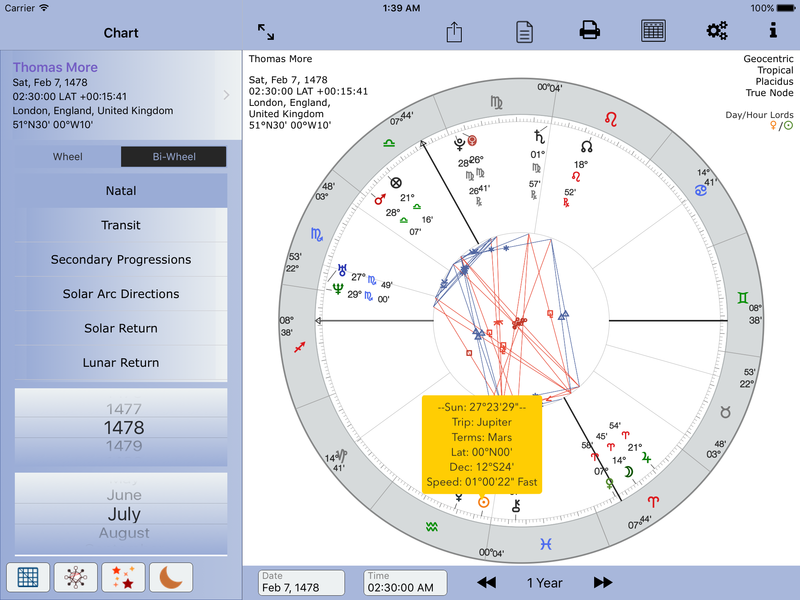 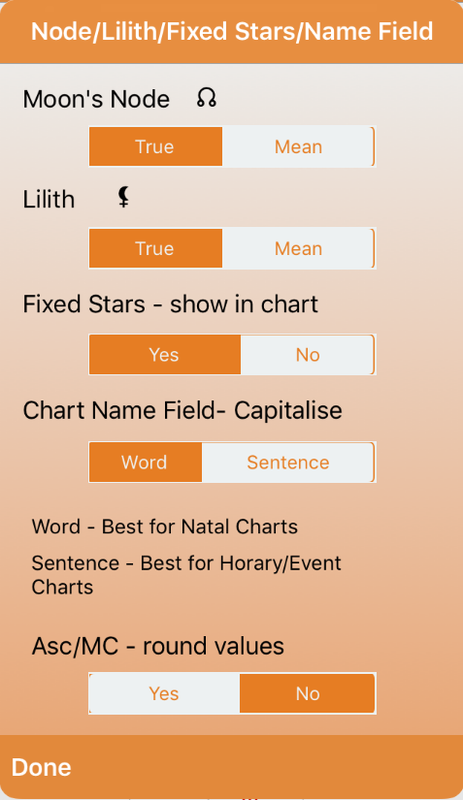 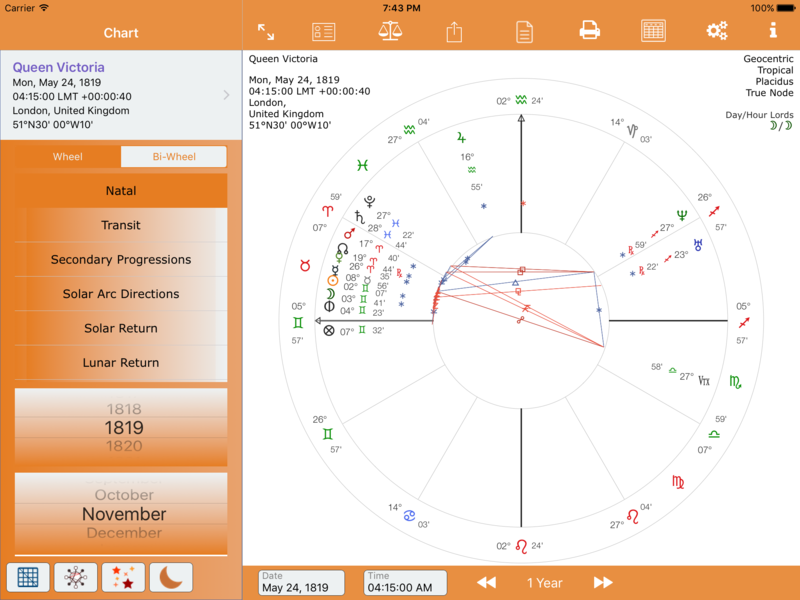 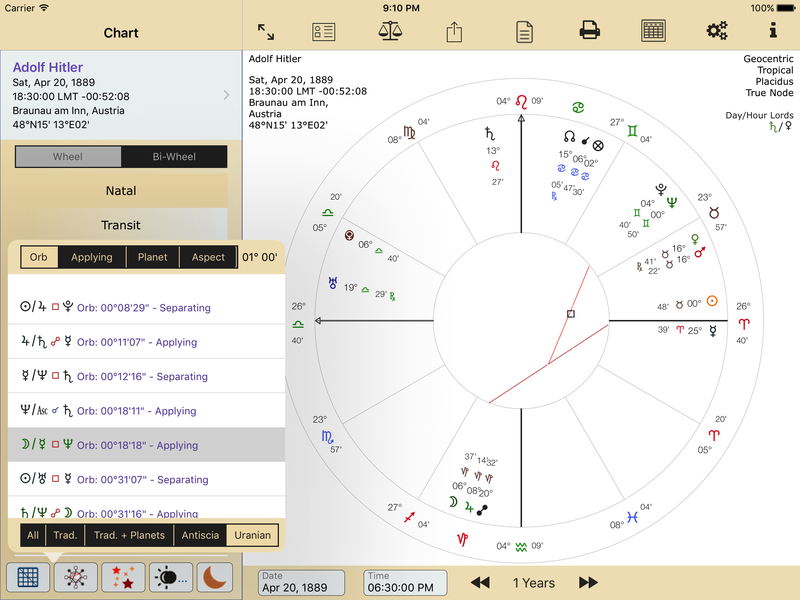 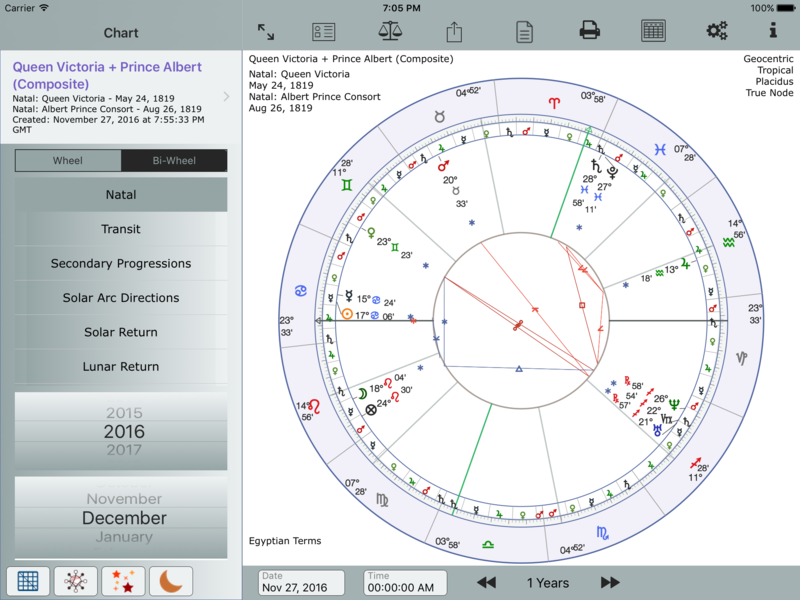 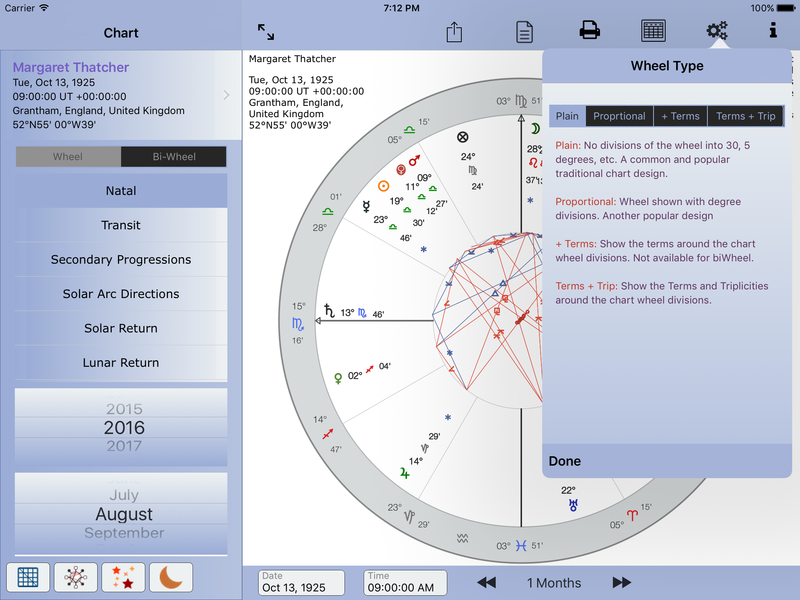 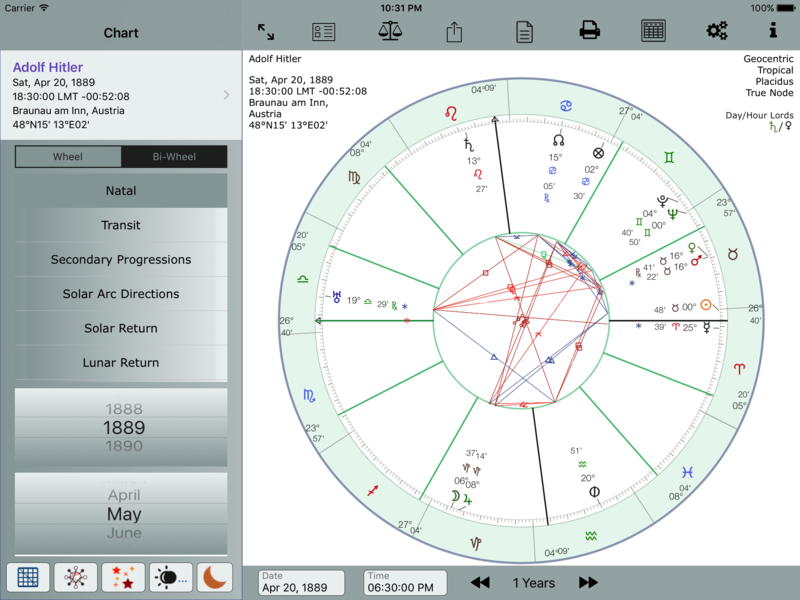 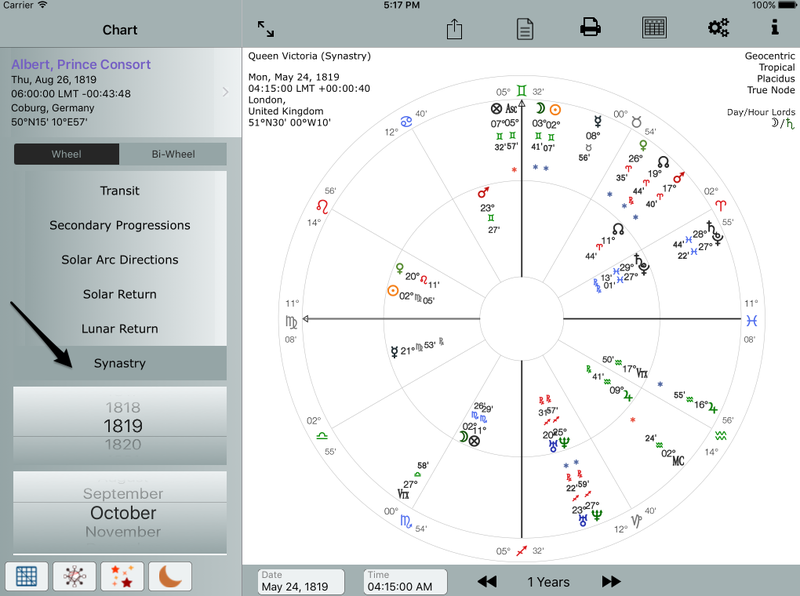 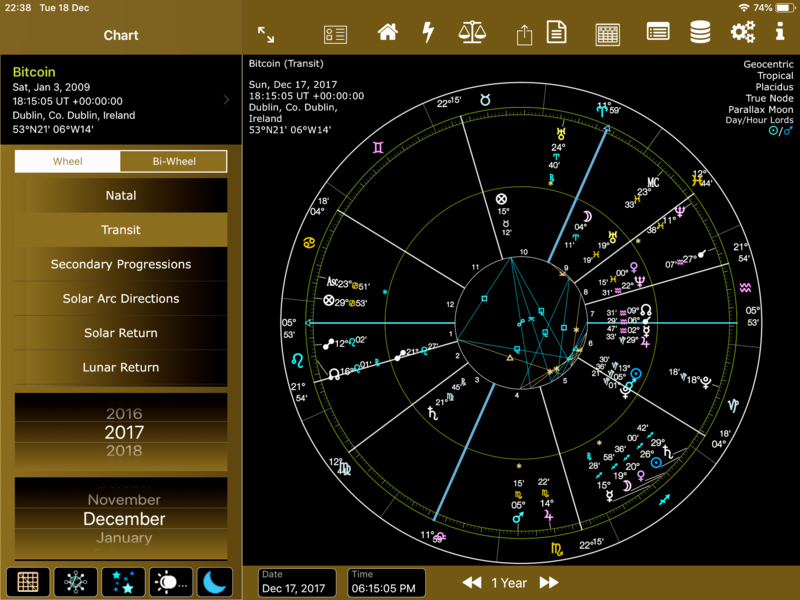 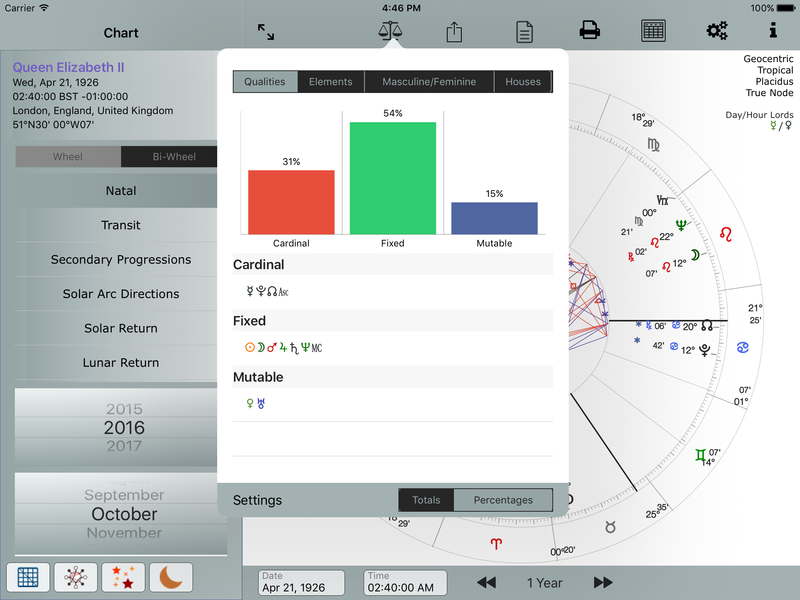 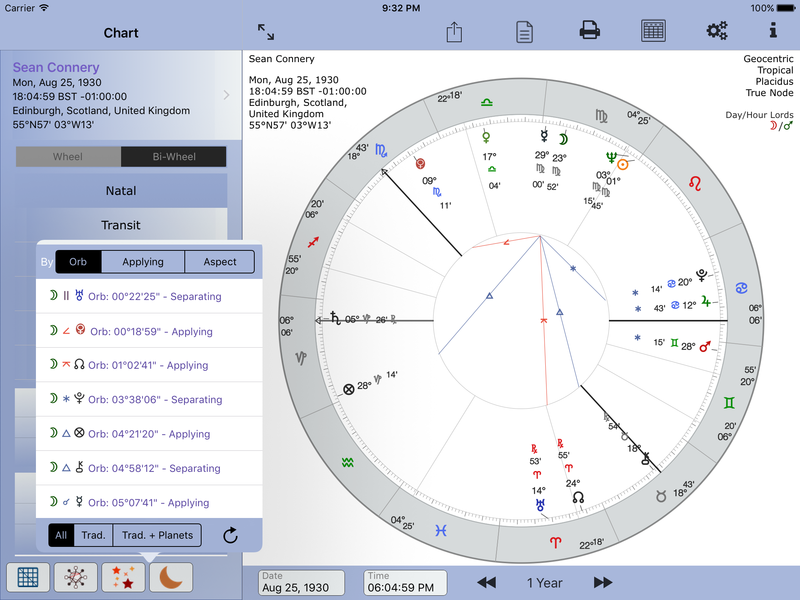 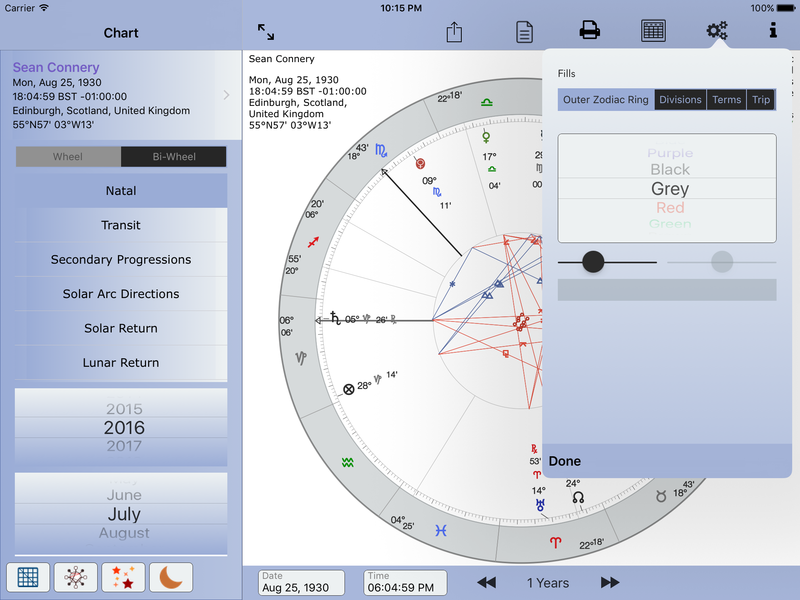 Note fixed stars are shown on the chart as a small star. 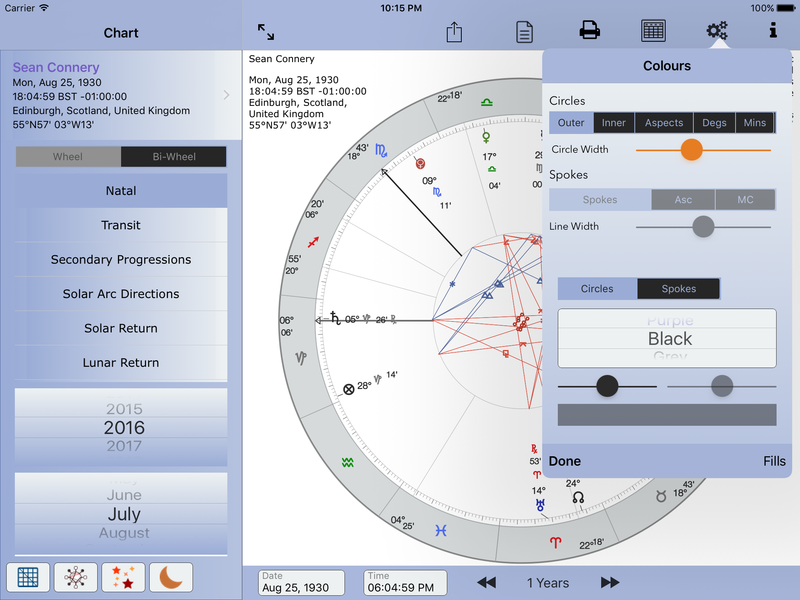 Black star if conjunct a planet or point. 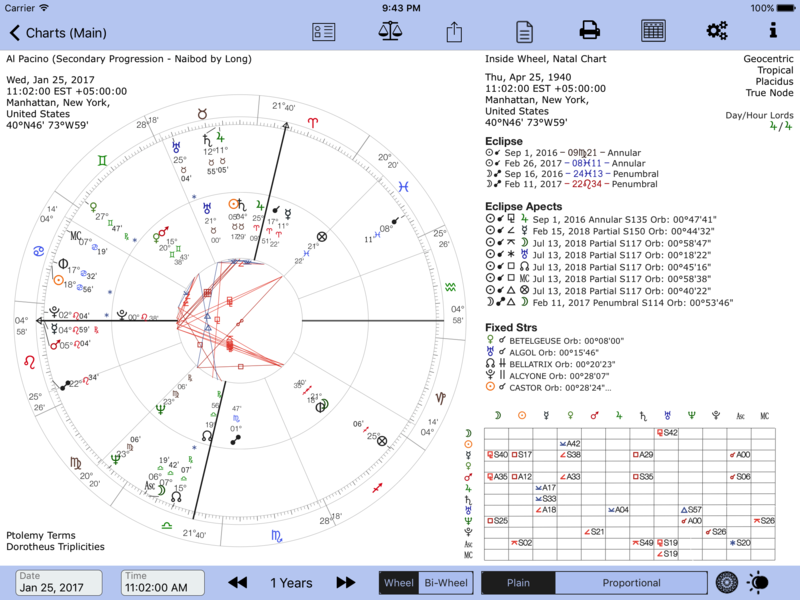 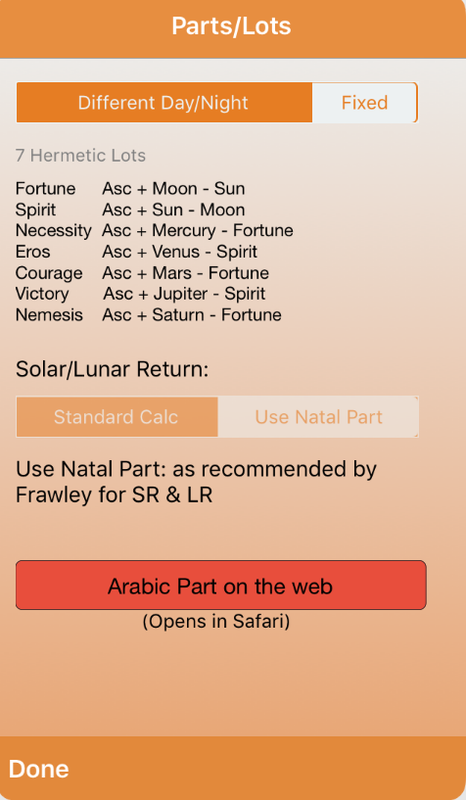 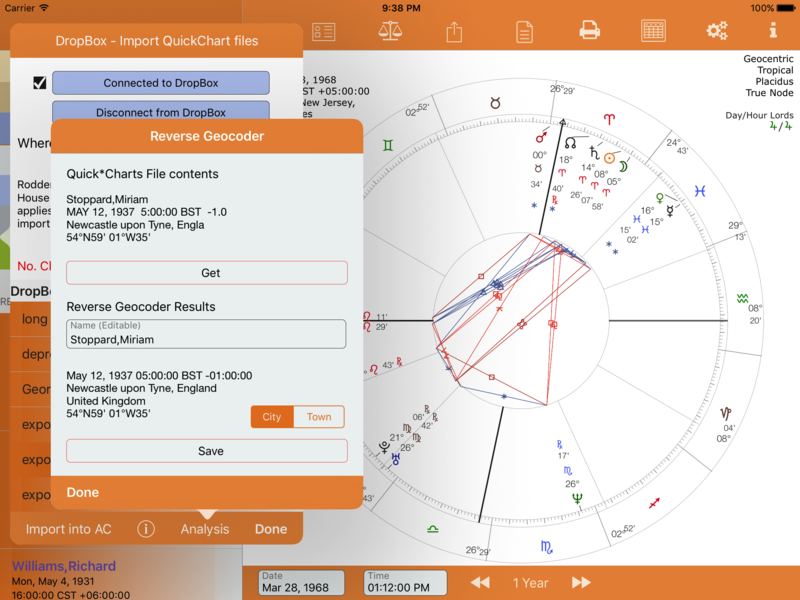 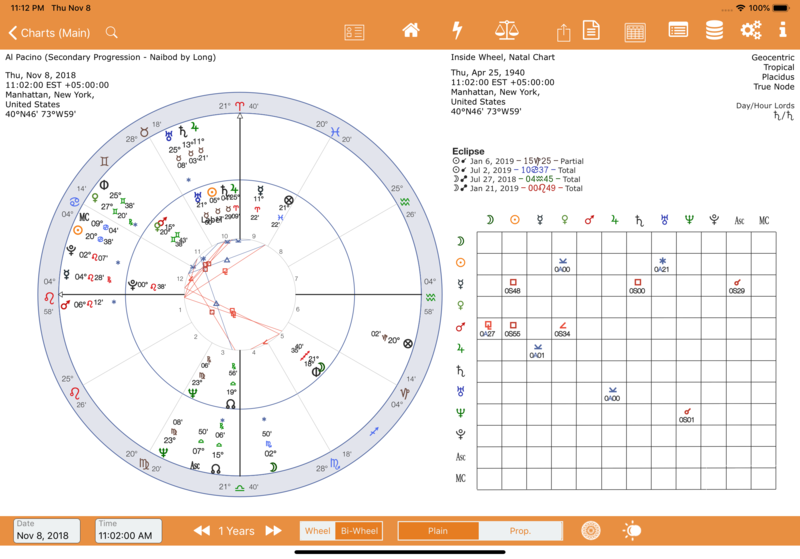 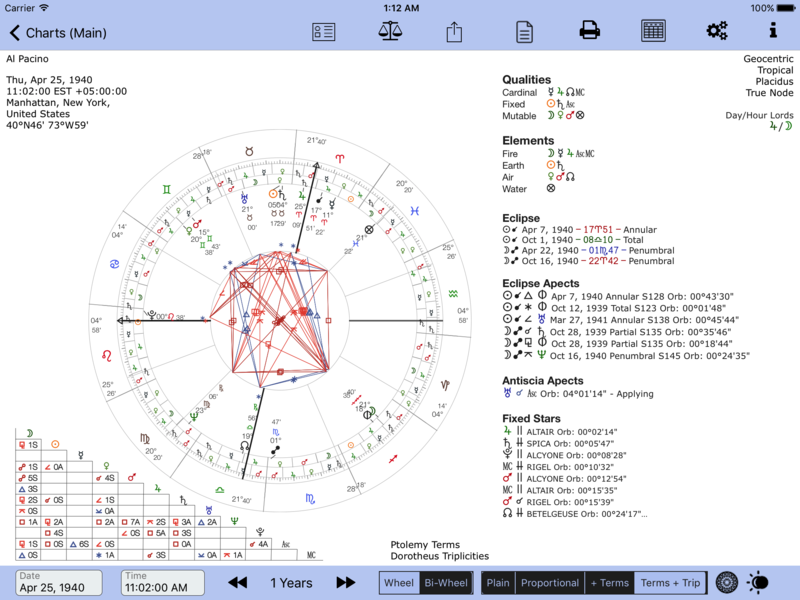 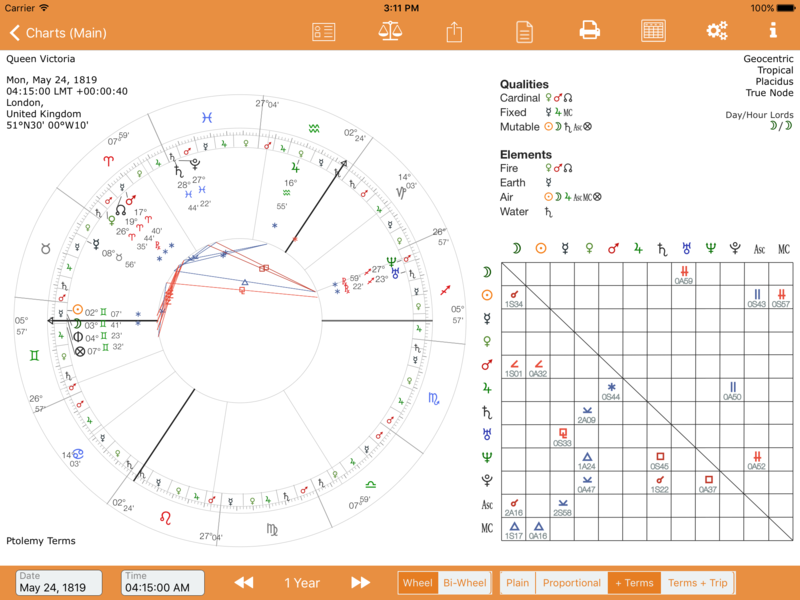 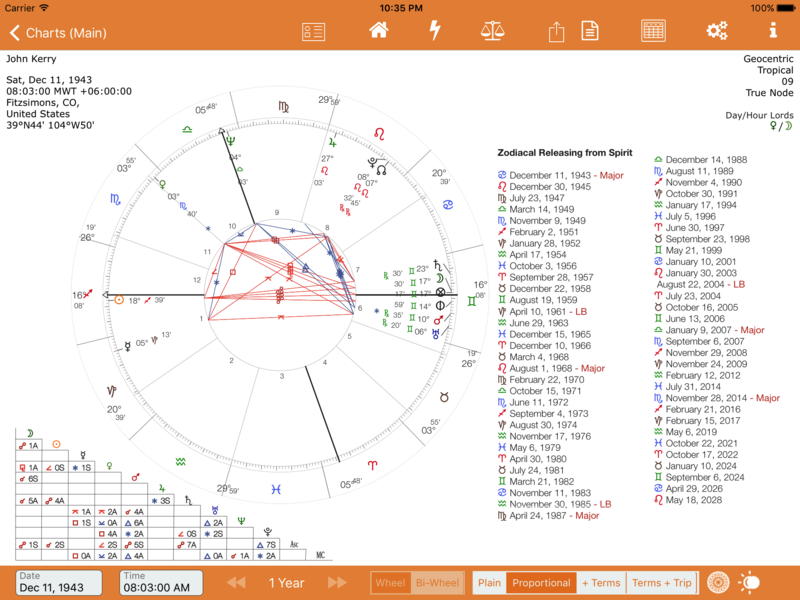 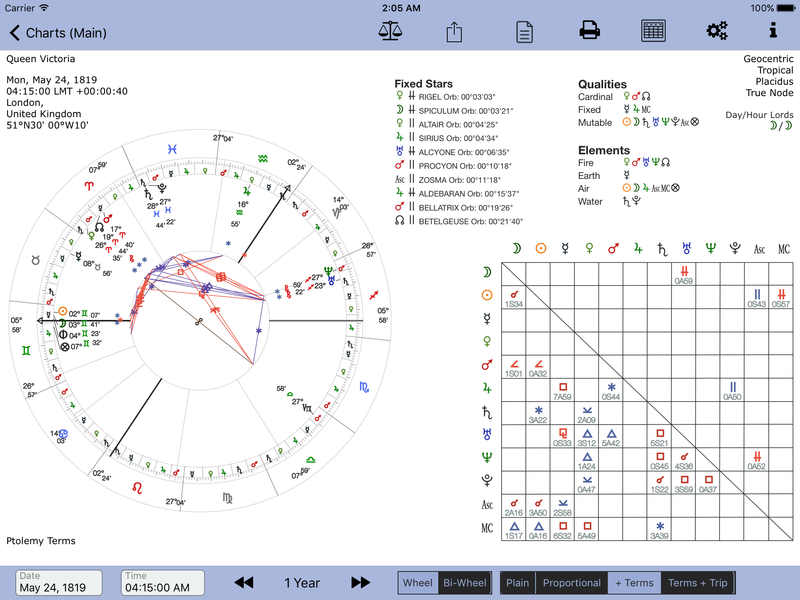 Red star if conjunct ASC or MC.